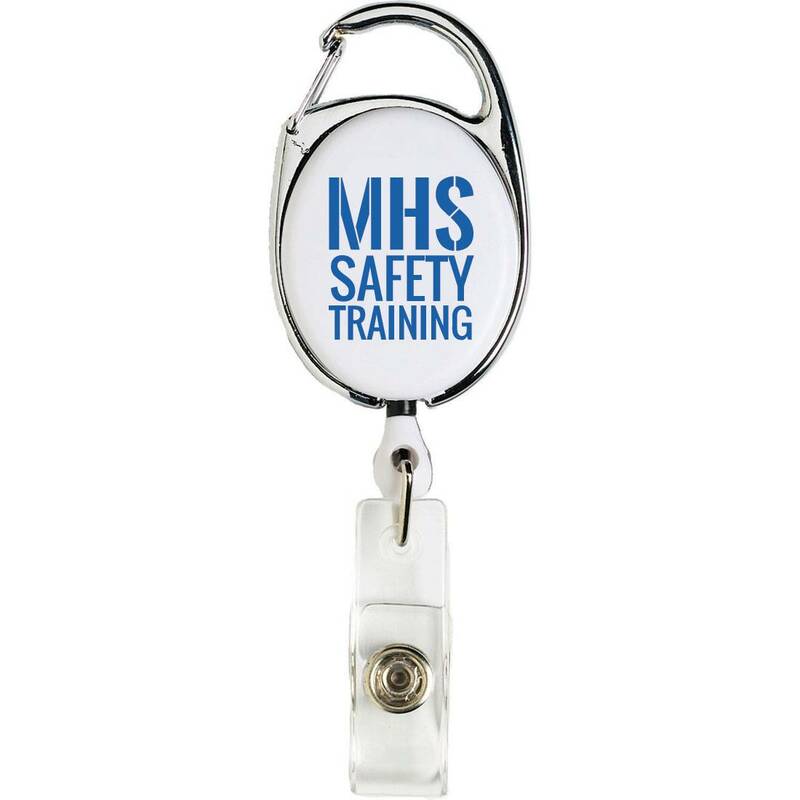 Our Carabiner Style Retractable Badge Holder features a carabiner-style sports clip with left hand side attachment to any belt loop, key ring, and more. 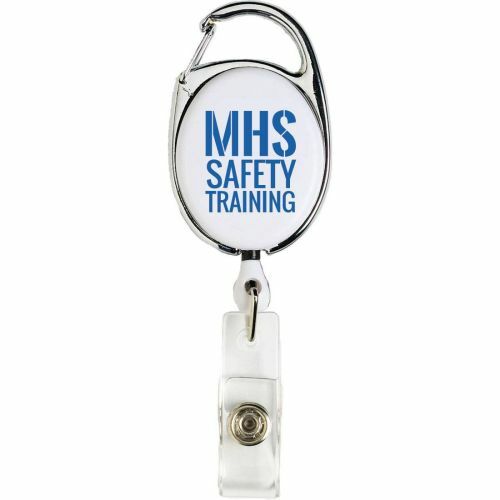 The vinyl snap badge holder will keep your ID badge safe and secure while the 24" retractable cord allows you to perform tasks such as swipes with ease. 2 3/16" x 1 5/8" x 3/8"
15 lbs per 250 pcs.